COLUMBUS, Ohio — Encouraging people to choose cucumbers over, say, potato chips or milk instead of soda can be a hard sell. Federal legislators are considering ways to do that. Both the U.S. Senate’s and the House of Representatives’ versions of the federal farm bill include funding to measure how effectively financial incentives inspire people who receive food stamps to eat more vegetables and fruits, whole grains and low-fat dairy products, said Carl Zulauf, an agricultural economist and professor emeritus with the College of Food, Agricultural, and Environmental Sciences (CFAES) at The Ohio State University. Currently, there are no restrictions on buying food with little nutritional value. But food stamp recipients have been given financial incentives through pilot projects in various states to reward them for buying more fresh produce. Escalating healthcare costs have sparked federal legislators’ interest in enticing more healthy eating to bring down medical costs and improve the quality of lives among people who receive food stamps, also known as the Supplemental Nutrition Assistance Program (SNAP), Zulauf said. 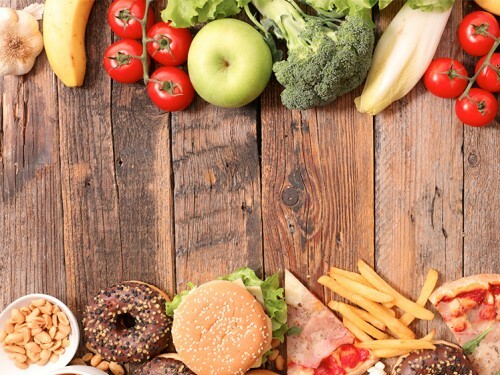 “Legislators want to figure out how existing nutrition programs can better meet the nutritional needs of people — not just their caloric needs,” he said. Healthy foods often cost more than foods with little nutrition, so legislators are trying to determine how to pay for the redesign, Zulauf said. Along with funding food programs for the poor, the federal farm bill pays for a range of programs including crop subsidies and insurance for farmers. Payments for SNAP and other nutrition programs account for about 80 percent of the price tag of the current farm bill set to expire Sept. 30. A new farm bill could be approved by the end of this year. In Ohio, 1.4 million people receive SNAP, which is about 12 percent of the state’s population. SNAP provides an average monthly benefit of about $121 to Ohioans, according to the Ohio Department of Job and Family Services, which runs the program. The Senate version of the federal farm bill approved June 28 funds a pilot project in which healthcare providers will work with low-income individuals who suffer a diet-related condition, such as diabetes, to improve their eating habits. Both the House and Senate versions of the farm bill call for additional reporting on and analysis of what individuals are buying with SNAP assistance. “They’re trying to determine what they’re buying and why they’re buying it,” Zulauf said. The House of Representatives’ version of a new farm bill, which passed June 21, differs from the Senate’s, so representatives from each chamber of the legislature will have to meet to work out a bill they can agree on. A final federal farm bill is at least several weeks away. One of the most controversial aspects of the House of Representatives farm bill is that it includes stiffening work requirements for those who participate in SNAP. The Senate bill does not. How fast this difference as well as others are resolved will determine how quickly a new farm bill will become law.